A Rabbit's best friend is the Dog. His allies are the Sheep and the Boar. Rabbits should stay far away as possible from the Rooster who is his enemy. There will be support with success from the Nobleman Star. Because the Sheep is your good friend this will bring in indirect spirit shielding and help you overcome challenges. The Dragon's best friend is the Rooster. His allies are the Monkey and the Rat. Beware of the enemy which is the Dog. The powerful luck of a favorable star lies in your char. It will give continuous growth in , fame and recognition. The Year of the Sheep is a prosperous year, do more good deeds and share your blessings. Prayers enhance well the stars. Health Luck not so good this year. The Dog will be susceptible to illnesses. Maintain the right weight. Exercise and seek early medical treatment. This is really interesting! I fall under year of the boar. I hate reading these zodiac forecasts... :( I get scared.. Yeah, but at least, this serves as a guidance for me. :) Indeed prayer is the most powerful weapon! 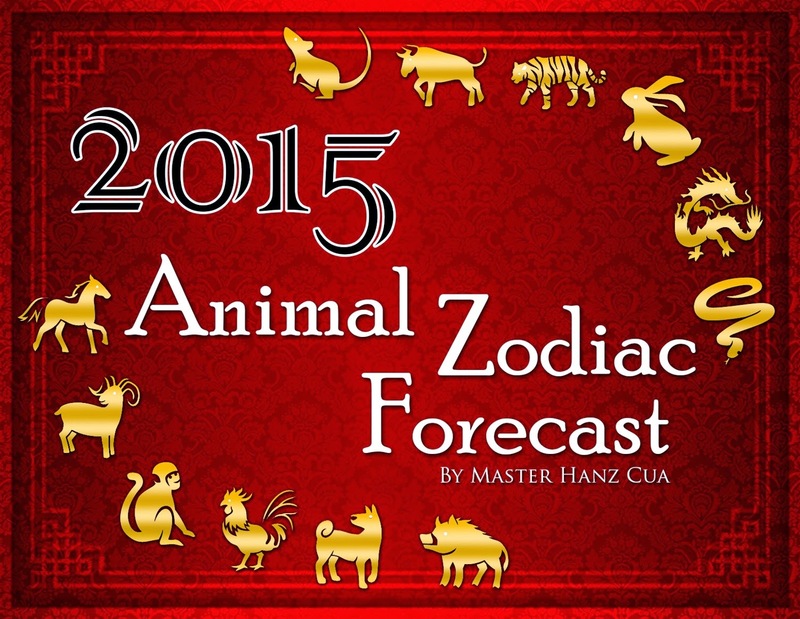 Not really a fan of Zodiac forecasts although I know a lot of people who are always excited to read stuff like this. I wish everyone good luck tho and happy 2015!